My question is, how do I force Eclipse to look in the right folder, assuming it is not looking in the right place for the libraries. This is working source code from the developer which we used to create the apk and upload it to the Google Play Store, so I assume there is no issue with the code, but more so in the way the project is configured in Eclipse. Check the necessary jars are available in libs folder of you project root. 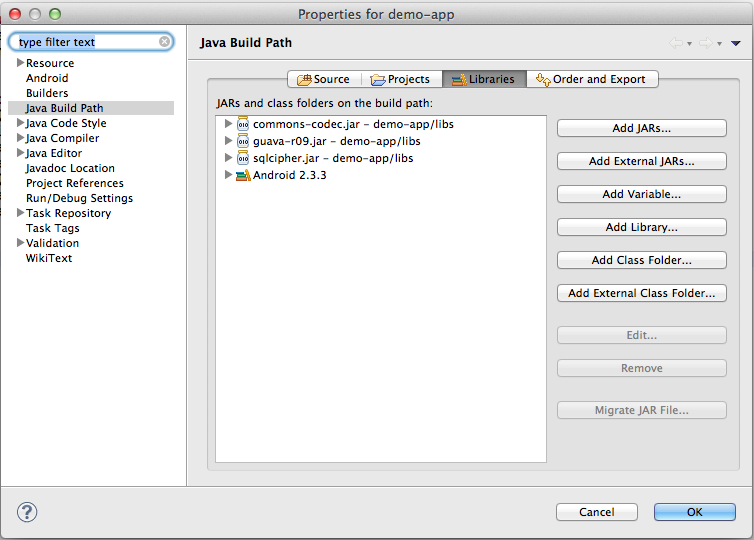 Check if the neccessary jars are properly added to buildpath. Right click your project > click on Properties (Refer Image : http://i.stack.imgur.com/A6xgq.png). If you see it highlight with red then you can remove it and follow these steps (https://stackoverflow.com/a/6859020/28557) to add your jars to buildpath.